After a year like 2018, chances are you’re more than ready to unplug and get away from the rest of this dumpster fire of a world. Well, thanks to an island lighthouse and inn near San Francisco, you may have a shot at actually making such an escape -- and make a pretty penny while you’re at it. 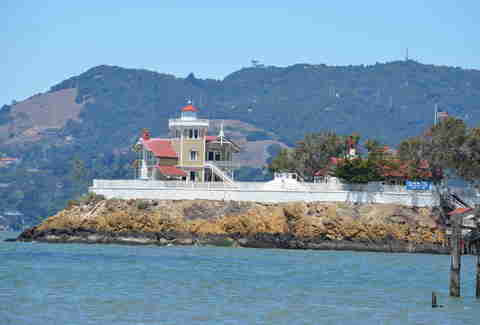 The folks at East Brother Light Station, a scenic island located just north of San Francisco in the San Pablo Bay, are looking to hire someone to manage the island and its Instagram-worthy inn, and the job opening sounds like the opportunity of a lifetime. The island’s current keepers, Che Rodgers and Jillian Meeker, are moving on to greener pastures and they’re looking for one lucky pair to replace them. While this is undoubtedly a sweet gig, applicants best come ready to work. 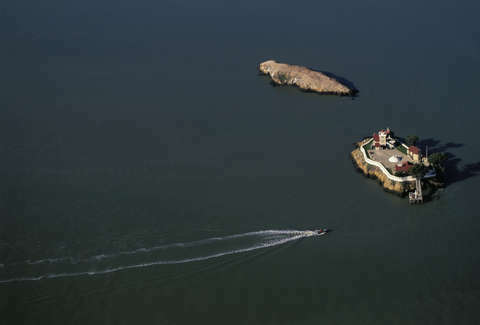 According to a report by SFGate, East Brother Light Station is looking for a Jack (or Jill!) of all trades to fill this position. You must come ready to perform all inn-related jobs, including housekeeping, bookkeeping, front desk work -- oh, and ferrying guests to and from the island. All applicants must be a couple and at least one person must possess a Coast Guard commercial boat operator’s license. Other key qualifications include “high-quality culinary experience and capability.” The chosen candidates must also be available to start working in mid-April 2019. Whichever lucky applicant is chosen for this position will get free room and board and be entered into a revenue sharing model with the non-profit that runs the East Brother Light Station. The salary typically equates to about $130,000 a year, but may vary if you do a good job of marketing the property. Another thing you should know about this role is that East Brother Light Station is remote. There’s no Wi-Fi and absolutely no cable at the inn, but with all those responsibilities on your plate, you won’t have much time for surfing the web or binge watching anyway. Sound like the perfect job for you? Download the application and cross your fingers.